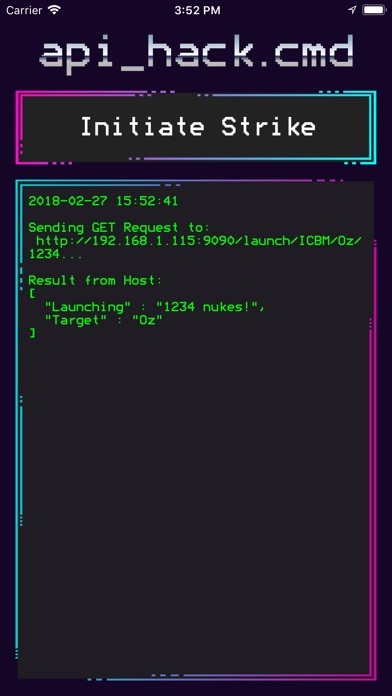 api_hack.cmd does nothing, but it can do everything. Literally EVERYTHING! As long as that "everything" we're talking about is controllable via a Web API. It is kind of useless otherwise. So don't buy this unless you have a Web API you want to interact with. Or if you just want a pretty icon on your phone. That is one pretty icon, and easily worth the price of admission, but seriously this app won't do anything for you if you don't have an API you want to hit. api_hack.cmd is actually helpful for developers who want manual control over tasks that aren't suitable for scheduled automation. 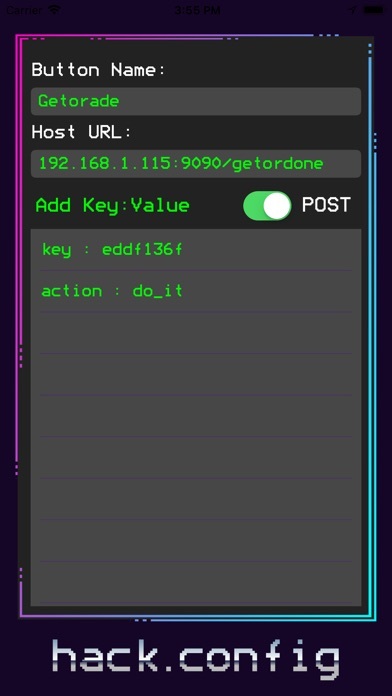 With api_hack.cmd you have a button on your phone that can issue custom commands to servers across the world. 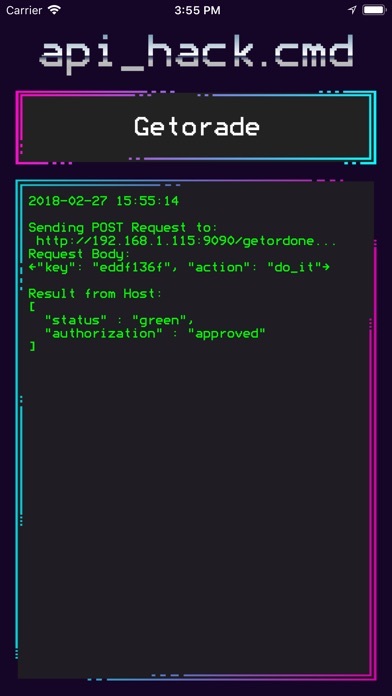 api_hack.cmd will then display the results of any JSON response. Home automation enthusiasts will also find value in the ability to send custom instructions to their Home Assistant. Some assembly required, no support offered or implied.